Click HERE for a PDF version of The People Response to OIG Audit Data-Driven Policing. 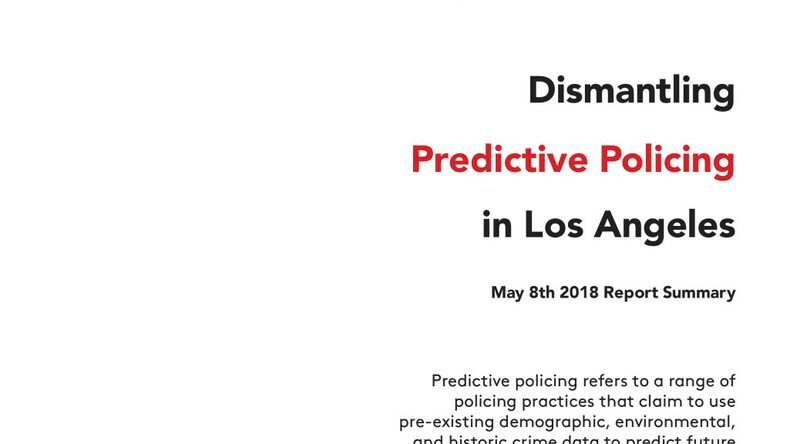 Click HERE to read “Before the Bullet Hits the Body – Dismantling Predictive Policing in Los Angeles.” A report summary is available HERE. Click HERE to read our Demand Letter to LAPD Office of Inspector General (OIG) to thoroughly Investigate and Audit Predpol and LASER programs for Human and Civil Rights Violation. Click HERE or on the image above to view and/or download the letter.